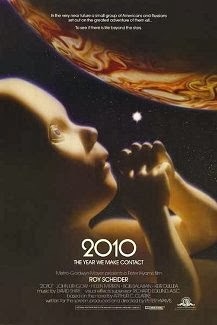 Movie poster for "2010: The Year We Make Contact". It was a day I will always remember: December 23, 1984. The previous few months had been hard. My grandmother on my mom’s side had initially been hospitalized for stomach pain. Emergency surgery was done, and they kept her in the hospital. Eventually cancer was found, and the slow decline began. I was in Grade 10, getting used to a new school, new classmates, trying out for the high school basketball team, and the teen angst all that brings. Every week or two, I would go see my grandmother in the hospital. It seemed almost to become part of the routine of high school. However, by the time December came, we could see an end in sight – a sad one. We went to see my grandmother on Dec. 23. I was done school, on Christmas break. After our visit, my sister and I decided to go see a movie. We hadn’t been for a while and, looking back, it was probably a good distraction from what was happening. Lethbridge is so small, it doesn’t take long to get anywhere in the city. We headed over to the Paramount Theatre downtown, and there were three movies I wanted to see: “Beverly Hills Cop”, “Dune”, and “2010: The Year We Make Contact”. The first choice was “Beverly Hills Cop”, but it was Rated “R” and I was just 14. So, “Dune” would be good too. My buddy Shawn had read the book by Frank Herbert and raved about it. That was rated “R” too. That left pretty much our only choice: “2010: The Year We Make Contact”. There didn’t seem to be any ratings issues, so we went in. I have to admit, I loved going to the movies – no matter what was playing. I also loved science fiction, so “2010” was just perfect. 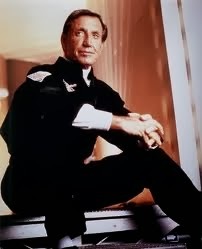 Besides, it had Roy Scheider, who was one of my favourite actors. The problem was, “2010” was a sequel to “2001: A Space Odyssey” and I never really understood it. The first time I saw “2001”, I was really young and just assumed that’s why I didn’t really get it. But then we watched it in Grade 9 science, probably a year before we went to see “2010”, and I still really didn’t understand it. Apparently that was not uncommon, because in the first part of “2010” they talked a lot about not really understanding what happened with HAL, the super computer, and the astronauts. And what was with that “Star child”? The movie was kind of a reflection and commentary of the Cold War period in which it was made. In the movie, diplomatic tensions increased between the United States and the Soviet Union. Ultimately, the two agree to a joint mission to discover what actually happened out there, led by Heywood Floyd (Roy Scheider). In the end, after all sorts of turmoil and drama, essentially a new world is created and everyone seeks peace on Earth. It would be interesting to see it now, some 30 years later. Maybe all the symbolism and nuance would make sense to me. in the movie "2010: The Year We Make Contact". After the movie ended, I hooked up with my dad and we went back to the farm. My mom stayed at the hospital to say goodbye to her mother. My dad and I had a real heart to heart in the kitchen before we went to bed. A few hours later, I heard the phone ring. My dad never answered the phone, and I really did not want to get out of bed to do so myself. I knew what awaited us on the other end. Just a few minutes earlier my grandmother had died. It was my mom phoning – and I knew it. The next morning, I awoke, and my mom phoned. She recounted her mother’s last few minutes. It all seemed surreal. Shortly after, my brother and his wife showed up to visit our grandmother. Too young and dumb to be diplomatic, I just told him straight up our grandmother died. I have since learned diplomacy. The time of death was past midnight – so my grandmother died on Christmas Eve. We buried her four days later – on my cousin’s birthday. It seems strange that a movie set so far in the future when it was made, is now four years beyond “the year we make contact”. I have not seen “2010: The Year We Make Contact” since that day in the theatre. I have not avoided it, but it never seems to be on. That’s probably for the better. A movie that ends with so much hope, will always be tinged with sadness for me.